As you know, being that students use Gmail and Google for their calendar, they can’t schedule an appointment with you the way other faculty and staff can. This can make it a pain for faculty to book student conferences or advising appointments. However, with our Microsoft 365 campus license comes a bunch of interesting applications and one of them is Bookings. Bookings provides a way to allow students to schedule appointments with you ONLY within parameters that you choose. Services – where you set up what the appointment is for and the time it should take. An example could be GroupPresentation Meeting – 30 min. Scheduling Policy – where you can set the minimum amount of lead time you have to have before someone can book with you. For example, at 1:15 someone can’t book a 2:00 appointment with you if your minimum lead time is 60 min. Bookings then generates a “Bookings Page” that is where users can go to book an appointment with you. You can link this page in your email signature or in OAKS for easy student access. 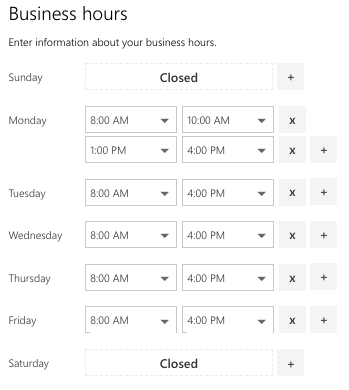 Lower on the page the calendar changes to show ONLY slots that are open for that amount of time within the Hours constraints you set earlier. User selects the time they want. They add their details: Name and email. They provide any additional information you require them to provide (example: reason for the meeting). The User/Student gets an email from which they can change their appointment or cancel it and add it to their own calendar. They will also get an email reminder before the appointment so there is no excuse for them forgetting. You will get an email and it will automatically be added to your Outlook calendar. 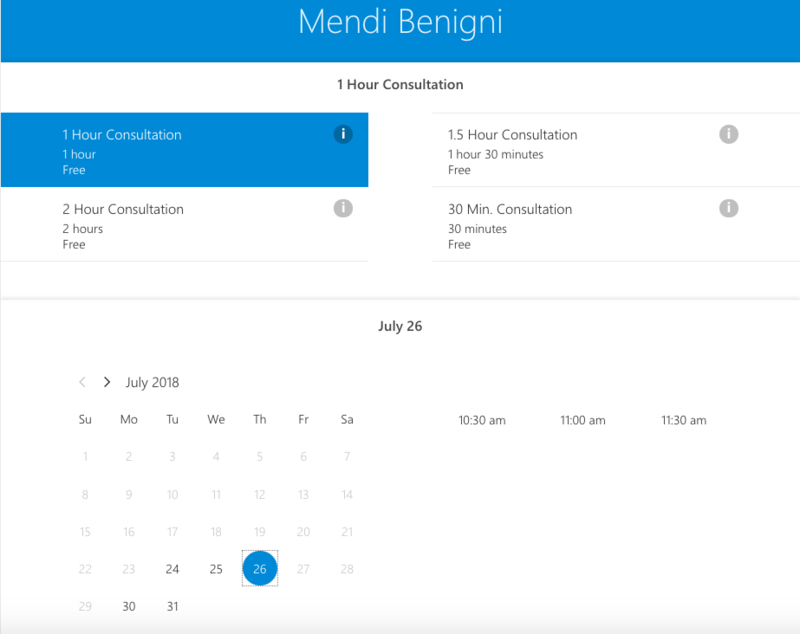 Bookings feeds off your Outlook calendar for availability, so even if you manually add an appointment to your calendar it will not be available on the Bookings page. I really like the Bookings app. It saves me from going back and forth with people in order to compare availability. It’s simple and easy for you and for the end user/student. Give it a try! If you want to know more just let us know! We are happy to show you how to set it up and use it.